What is social recruiting and why is it important? Social recruiting enables organizations to source, recruit, and hire the best talent through social networks with enhanced employee referral campaigns and automated job publishing. Before you engage in social media, ask yourself what you end goal is – branding and awareness, talent pipelining, candidate or client communication, or employee engagement? Know your ultimate goal before you get started. Start by listening: before your start posting content to a social networking site, first listen to what your target audience is saying and where they are saying it. It’s important to identify which social media sites will work best for your industry. Don’t treat all social media outlets the same: it’s important to tailor your content to both your audience and the social network itself. LinkedIn, Facebook, and Twitter are best for positing open positions while Google+, Pinterest, and Instagram are great networks for building a strong employment brand. Different social networks have different peak times for posting, with LinkedIn and Google+ having more morning engagement while Pinterest and Instagram feature more heavily in the afternoon and evening. Twitter and Facebook have the most longevity, with peak times extending from morning or midday into the evening. 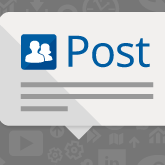 Allow employees and recruiters to easily share job postings on personal and corporate social media accounts. By sharing positions on both corporate and personal accounts, your organization can be instantly connected to potentially thousands of new candidates, tapping into the referral pipeline by utilizing quality hires to find more quality hires. Reinforce your employment brand by posting images, videos, and interesting content to all of your organization’s social media networks: with jobseekers (millennials in particular) increasingly citing employer brand as a requirement when looking for a job, having a strong employment brand is more vital than ever in the war for talent. By using social media to cultivate an online presence that accurately represents your employer brand, right-fit candidates for your company culture will be attracted, and able to find more information more easily. Automate job publishing to social networks with a scheduling tool. Using the simple set-it-and-forget-it process, jobs can be automatically selected and published to a user’s preferred social networks at a predefined frequency and optimal times when people pay the most attention. Track the source of referrals by social network to discover which sources are working best for your recruitment operation. Use the information gathered to learn where to focus your social recruiting efforts and reward employees for their contribution to the team.